This is all very embarrassing to admit. But I figured that imagining my book as a done deal would help it become a reality… would in fact help it manifest, à la The Secret. One of the agents I emailed (my first choice, actually) responded within 15 minutes. He wanted to see my full proposal. I nearly had a heart attack, but I forced myself to chill the eff out and then sent along what I had, feeling cautiously hopeful. Somehow, I managed to make it through the week (including Thanksgiving) without going completely crazy from anticipation. 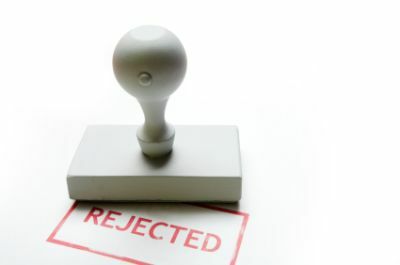 They were lovely rejections. They included words like “talented” and “engaging.” I felt that familiar twinge of disappointment, but I still felt hopeful. Their letters had been rejections, but they had also been personal, complimentary, and constructive. I filed their critiques in the back of my mind for use in future revisions, and set about waiting for responses from the other agents. I spent the next three days being completely unproductive. I wasn’t sure why. It finally occurred to me that I was depressed. What the what!? But then I realized what was bothering me. Those two rejections had forced me to consider the difficult possibility that my book might not happen. Clients often ask about my success rate with query letters and LOIs. I tell them my success rate is much better than it was when I started. Which makes sense. After all, my portfolio is stronger these days, my network is larger, and my writing has only improved. But I also tell them that rejection is still a reality of the freelance writing life, and that it always will be. One can’t succeed without accepting that, and working through it. I absolutely love this post! It is definitely something I can relate too. I too am a nerd who daydreams about future columns, and appearances thanks to something I’ve written. If only I have an answer as to what to do to beat rejection. I did decide to allow myself only 15 minutes to wallow in rejection. Anything more than that is just counterproductive. Something I recently started doing was looking over testimonials or encouraging emails from past editors I’ve worked with. I’ve also been meaning to make a list of all the reasons why I wanted to be a full-time freelance writer so I can take a look at it when rejection comes. I’m hoping that might give me some motivation. Oh Terri. I love that you look back at the positive comments from other editors. I also have a “warm fuzzies” folder but, in the heat of my most self-doubting moments, I often forget it’s there! You’re right, though. Nothing like a reminder from your fans to get you to shake off rejection. While I believe your journey may take place on a difficult road, I’m confident that you can do it.